Where EXTREME Power Meets Technology! 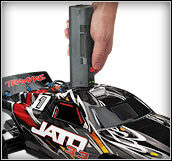 Traxxas models deserve the world's most advanced Ready-To-Race® radio system. The radio system after all is the sole connection between the driver and machine. It has to be precise, comfortable, powerful, and reliable. 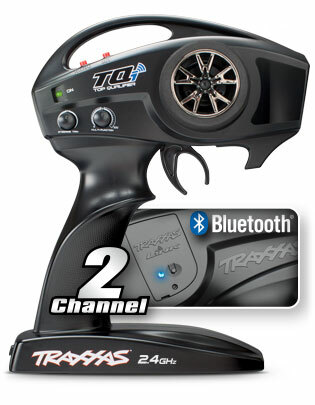 The all-new Traxxas® TQi™ radio system arrives with a full complement of tuning features; long-range, high-output, 2.4GHz signal, and proven Traxxas reliability for rock-solid performance. It's so advanced; it doesn't even need an external antenna. However, the most important new feature may already be in your pocket. 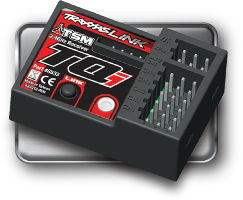 The E-Revo's TQi transmitter is equipped with an accessory Traxxas Link Wireless Module that turns your Android, iPhone®, iPod touch®, iPad® or iPad® mini into a powerful tuning tool for your Traxxas model. 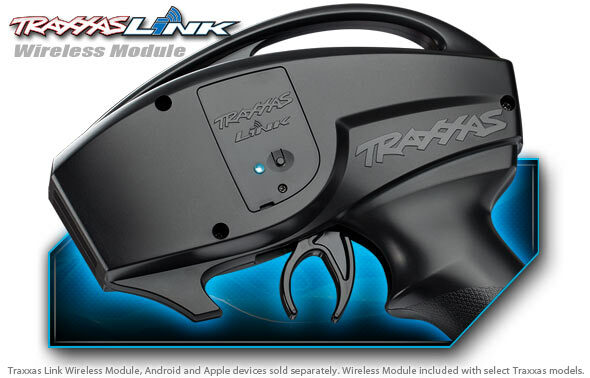 The device display combines with the Traxxas Link™ App to deliver an intuitive, high-definition, full-color graphical user interface that unlocks the mysteries of optimizing your radio system for ultimate vehicle control. 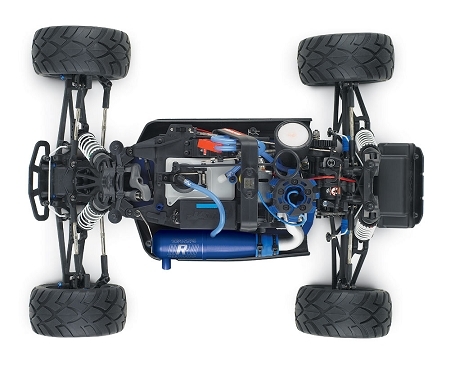 The TRX® 3.3 Racing Engine draws from the Traxxas heritage of engine design and manufacturing. 14-years of nitro engine development have culminated into the most powerful TRX engine ever made, the new TRX 3.3 Racing Engine. It embodies everything we've learned from over a decade of making engines more powerful, more reliable, and easier to use. The TRX 3.3 Racing Engine is so powerful it establishes a whole new classification of power.... Extreme Power! The TRX 3.3 produces an extreme 60% more peak horsepower compared to the TRX 2.5! The overall power under the curve is nearly 50% greater to deliver the smooth, linear power output TRX engines are famous for. The TRX 3.3 Racing Engine offers thoroughbred race engine performance that's absolutely second to none. There's no penalty to pay for having more power either. The TRX 3.3 Racing Engine is equipped with EZ-Start® push-button electric starting and simple, reliable tuning from the two-needle composite slide carburetor. Plus it's backed by the support and reliability you expect from Traxxas including the Exclusive Lifetime Engine Replacement Plan. The Traxxas Resonator aluminum tuned pipe is precision engineered and dyno tested to optimize the power output of the TRX 3.3 Racing Engine. The result is linear power output that delivers searing acceleration and top speed. The front and rear sway bars make sure that the Jato 3.3 maintains the most stability possible, by reducing body roll and sway. Additionally, the sway bars improve cornering traction, and transitional steering response. They are fully adjustable with three different bar weights to tune for maximum cornering speed. Anacondas feature a specifically engineered rubber compound that stands up to asphalt for long life and provides sticky traction on slick street surfaces. Anaconda's contoured molded foam inserts couple with the directional tread to provide the stability needed for ultimate high-speed on-road running. 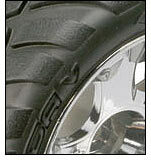 The Anaconda tires are extremely versatile providing great performance off-road too. Performance that surpasses on-road sedans, paired with stadium truck ground clearance, will have you hopping curbs to show off, on-road and off. The Jato 3.3 comes with an integrated stock wheelie bar because the horsepower of the TRX 3.3 Racing Engine makes it mandatory equipment! The broad linear power output of the 3.3 engine delivers wheels-up power at almost any speed, making the Jato 3.3 one furiously fun wheelie machine. Available in red, blue, yellow, and red-yellow, Jato has a sleek, low, aerodynamic body that's needed to maintain stability at its 65+mph top speed. The bold graphics look fast standing still. The rear wing is there to stay with countersunk aluminum hardware to maintain a smooth finish and unmatched strength. The sealed limited slip gear differential can be precisely tuned with lighter or heavier lube for maximizing rear traction and cornering performance. Superior silicone-seals are used for reliable sealing. Unlike a ball differential, Jato's sealed-gear differential never slips or wanders out of adjustment, and it is virtually maintenance free. It's definitely the best solution for the demands of a high-performance truck like Jato. You get all the benefits of an adjustable limited slip differential without all the maintenance hassle of a ball diff. Jato's transmission design provides easy access to the differential. Just remove four screws and the rear cover and there it is. Trackside tuning is fast and easy. The Torque Control slipper clutch uses special semi-metallic friction material and finned aluminum alloy pressure plates to dissipate heat and provide consistent traction control. The semi-metallic friction material remains stable across a wide temperature range to provide smooth, linear engagement you can count on, lap after lap. Spur gears can be removed and replaced without altering the slipper adjustment. A center ball bearing maintains precise, long-lasting alignment with near friction-free running and virtually zero maintenance. Originally developed for Revo, the Torque Control slipper is more than tough enough for Jato. Only Traxxas has it! Bump steer occurs when the steering angle of the front wheels changes as the suspension moves up and down through its range of travel. Suspensions that have bump steer make it difficult to drive in a straight line over bumpy terrain. Jato benefited from specialized computer modeling technology developed for Revo to engineer steering geometry that completely eliminates bump steer. Jato tracks true no matter how tough the course gets. Jato's unique bellcrank steering system has an integrated servo saver for precise feel and tight steering response. GTR shocks were developed to handle the rigorous damping needs of the Revo, a full-size mega suspension travel monster truck. Jato is equipped with superior damping capability that can be finely tuned for any track condition. High tech composite shock bodies reduce weight to a minimum and provide super-smooth internal surface finishes for damping that feels like liquid silk. Computer-analyzed body size and volume maintains optimum oil temperature and the most consistent oil viscosity. Traxxas' unique silicone X-seals provide superior sealing with less friction than typical O-ring seals. GTR shocks are equipped with volume compensating air bladders that keep out the air and stop oil foaming. 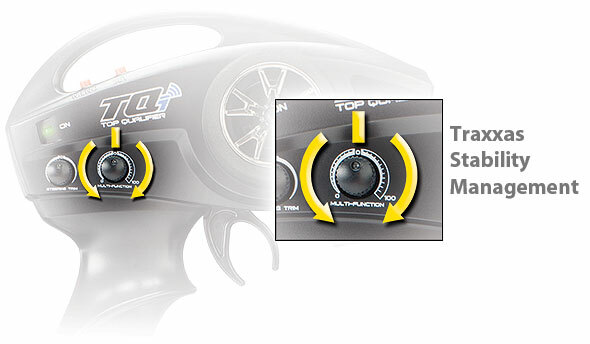 Convenient, threaded spring pre-load adjusters make it easy to fine tune the ride height. One of the keys to Jato's superior handling characteristics is class-leading suspension travel. If the suspension bottoms out or runs out of travel it can no longer do its job and control is severely diminished. Jato's super long suspension arms reach out to deliver up to 12mm more travel than typical 2WD racing trucks. More travel means increased stability, more control, and better handling over rough terrain. Jump higher, go farther and let Jato's suspension do the work. The super-duty sealed driveshafts are lightweight, and require almost no maintenance. The true, constant velocity design allows huge deflection angles not possible with conventional shafts, perfect for Jato's class leading suspension travel. Rubber seals keep out performance-robbing dirt for smooth consistent running. 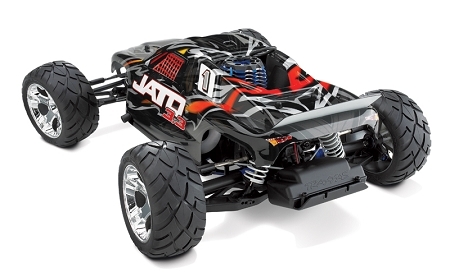 Jato raises the bar by being the first 2WD nitro racing truck to offer an autoshifting, close-ratio 2-speed that is fully enclosed, sealed, and completely integrated with the transmission. Class-leading acceleration is combined with class-leading top speed, all without any performance compromise. The shift point is adjustable to maximize Jato's acceleration potential. A drop-in single speed option is also available. 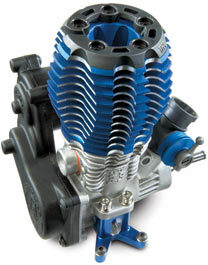 The transmission is light and compact with a low rotating mass internal assembly for quick, high-revving performance. Precision rubber-sealed bearings offer the ultimate in super low-friction performance and maximum protection in dirt & nitro environments. They are used in all exposed locations on the truck and are virtually maintenance free. The low-profile 75cc fuel tank design provides more consistent fuel pressure and flow as the fuel level in the tank changes. It's baffled and sumped to prevent sloshing and fuel starvation, and a built-in bronze sintered filter keeps clean fuel flowing. Rubber mounts isolate engine vibrations to prevent foaming. The integrated pull handle allows fast easy fuel stops that don't require lifting or removing the body. A unique integrated spill guard directs fuel spillage to the ground, away from the chassis. On most 2WD nitro trucks it seems like incorporating the batteries to power the radio system is an afterthought in the design process. Jato has thoughtfully integrated the battery placement into the design of the truck. 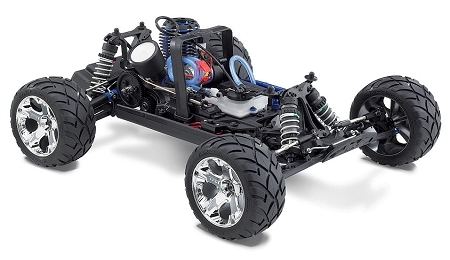 Only Jato has two options for battery placement; mid placement in the center of the chassis or the more traditional rear placement behind the rear shock tower. Battery placement becomes another tuning tool in your arsenal to either enhance rear traction or promote more positive steering. Jato can accept AA dry cells or rechargeable receiver packs. If you use a rechargeable pack such as the Traxxas RX Power system, a handy charge jack has been built into the chassis top plate. Jato continues Traxxas' excellent standards for durability by providing captured double-shear connections on all critical suspension linkage. Jato also utilizes captured rod ends to eliminate the risk of a race-ending pop off common with standard ball cup connectors. Jato uses captured, hardened-steel suspension pins that eliminate troublesome e-clips and allows fast, easy suspension service. Jato's design incorporates features that provide superior protection from the elements. Buggy style dirt guards are attached to the sides of the chassis. The body fits tightly against the dirt guards providing an effective barrier to keep out dirt, grime, and kicked up rocks. Enclosed radio boxes on the chassis protect the sensitive electronics from dirt and fuel spills. Powerful braking is provided by a unique, semi-metallic friction disc and tough metal calipers. The semi metallic friction material is superior to graphite and nylon materials. It was designed to practically eliminate fade in long nitro racing events and provide smooth engagement with consistent braking performance. Jato lets you brake later and dive harder into the corners. 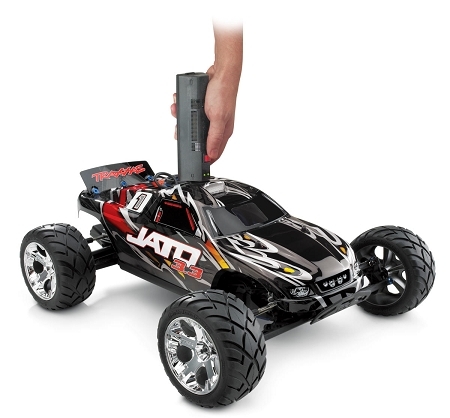 8AA batteries and fuel, that's all you need to go from the box to the backyard with the Jato 3.3—8 AA batteries and Traxxas Top Fuel® Power Plus™ to pour into the tank. The Jato 3.3 is fully assembled, with pre-glued tires, a mounted and trimmed ProGraphix body and dialed-in electronics. But we didn't stop there, a high-quality 6-cell EZ-Start battery is included with a 2amp DC peak detecting fast charger. A 500cc fuel bottle is also included for fast fillups, and there's even a spare glow plug and air filter element to keep you running strong. 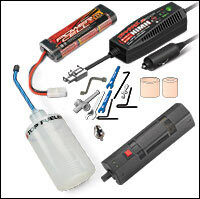 A precision metric specialty tool set is also included for easy servicing. Everything you need to experience nitro monster fun the Traxxas way is in the box.